The card shows many kinds of reptiles: frogs, snakes, toads, and salamanders. In English the names are: 1) sand lizard; 2) viviparous lizard; 3) green frog; 4) marsh frog; 5) natterjack toad; 6) tree frog; 7) pool frog: 8) brown frog; 9) moor frog; 10) common toad; 11) yellow-bellied toad; 12) fire salamander; 13) Alpine salamander; 14) fin-footed salamander; 15) newt; 16) great crested newt; 17) midwife toad; 18) slow-worm; 19) ring snake; 20) viper. My favorite kind of reptile isn’t here though: turtles or tortoises. And on the stamp, a fox, which is not a reptile. Both of these cards came from Jennifer in Indonesia. Thanks, Jennifer! First, the Sangiran Early Man Site, home of Java man, located on the island of Java. It was inscribed in 1996. Excavations between 1936 and 1941 uncovered many early hominid fossils, including fossils of Homo erectus dating from 1.5 million years ago. And second is this card showing the giant flower Rafflesia arnoldii, also known as the “corpse flower” for its awful stench. It produces the largest flower in the world, producing a flower up to 1 meter (3 feet) in diameter. The flower is endemic to the rainforests of Sumatra, protected by UNESCO since 2004. The flower is also one of Indonesia’s national flowers. From left to right: 2014 issue for the Year of the Horse, two BirdLife International stamps from 2012 showing the Siau scops owl and a male Aethopyga duvyenbodei, a type of sunbird. 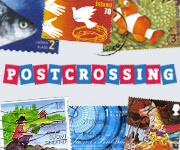 And these stamps are from a 2014 series featuring traditional instruments of Indonesia. 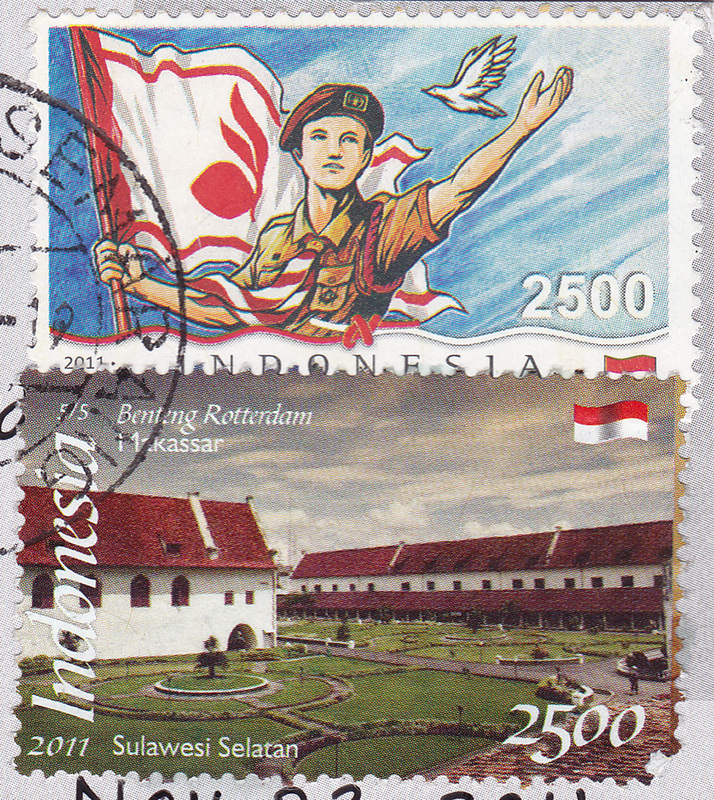 First is the flag of Indonesia, from Postcrossing forum member shinta. The flag is called the Sang Merah-Putih, which means “the red and white.” It is based on a flag from the 13th century Majapahit Empire, but was officially adopted on August 17th, 1950, when Indonesia gained its independence from the Netherlands. Next is the flag of Macedonia, from Postcrossing forum member animak. This flag was adopted in 1995 after a dispute with Greece over the use of the Vergina star on Macedonia’s old flag. Greece obtained an international copyright of the Vergina star after designating it an official Greek symbol. Greece then imposed an economic blockade on Macedonia until it changed its flag to the one seen here. Finally, the flag of Cornwall, in England, another potentially contentious flag. The sender, Mallory, writes that many Cornish people fly the flag at their house or garden, but some people from other parts of the country can take offense. She doesn’t offer an explanation why, and I can’t offer my own, either. The flag is known as St. Piran’s flag, after St. Piran, a 6th century abbot who is the patron saint of Cornwall. 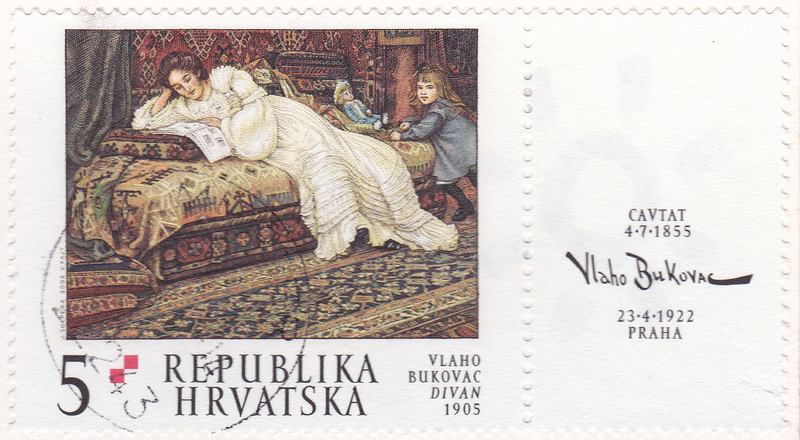 A Macedonian stamp from 1998. And a set of three Indonesian stamps from 2014. 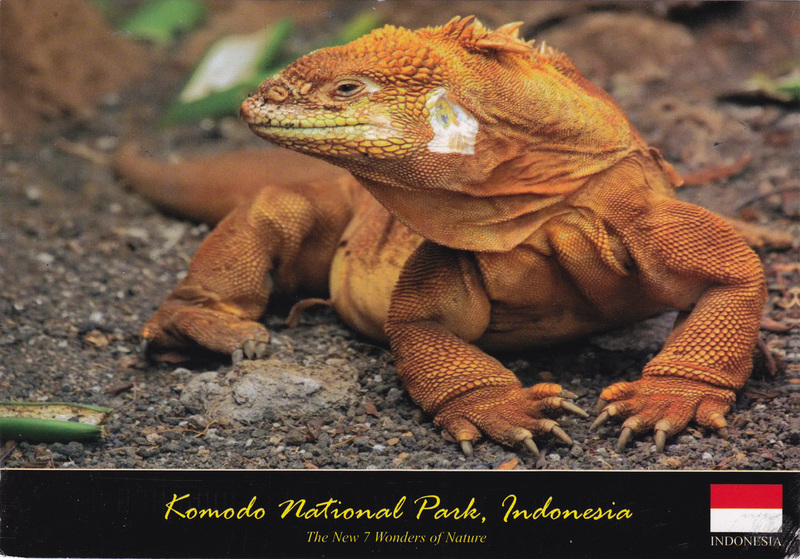 I’m of course referring to Komodo dragons from the Komodo National Park, a UNESCO site since 1991. Komodos are scary creatures; they routinely take down much larger prey with just a few bites, letting the virulent bacteria in their saliva do most of the work for them. Their metabolism is so slow that they can eat as few as 12 meals a year. They can weigh as much as 70 kilograms, which is a pretty big lizard. Shinta used these very appropriate Year of the Dragon stamps from this year. The dragons pictured here look quite a bit more fearsome than the Komodo, but are, of course, fictional. Many thanks to shinta for all the lovely Indonesian UNESCO cards! First we have my second view of the 9th century Buddhist temple, Borobudur. The first view shows the statues and temple details up close, but I like how this card puts the temple in perspective. It’s huge! 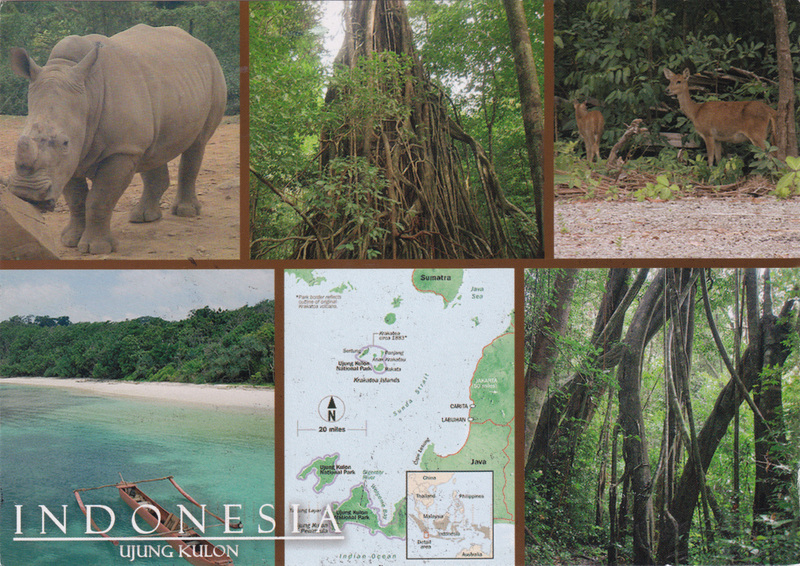 Next is Indonesia’s first National Park, Ujung Kulon. It’s the home of the endangered Javan rhinoceros. You can see on the little map that the park covers several smaller islands and also part of Java. The blue water and white sands must be even more gorgeous in person! 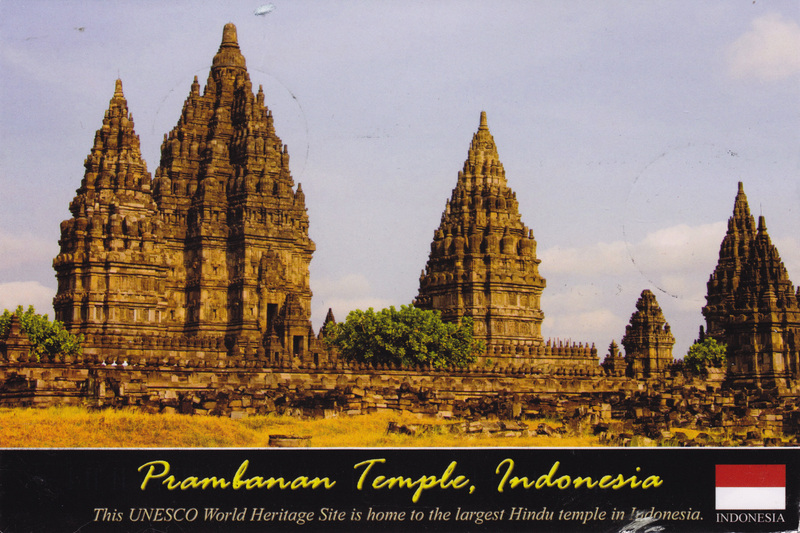 Getting back to the religious side of things, this card shows Prambanan Temple, the largest Hindu temple in Indonesia and one of the largest in Southeast Asia. It also dates from the 9th century. 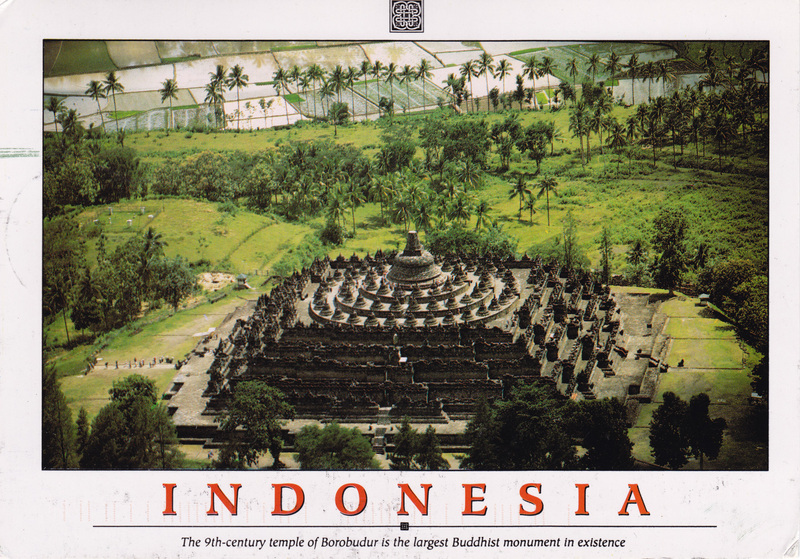 There were originally 240 temples in the complex, but Indonesia has a habit of being hit with earthquakes. Many temples collapsed during an earthquake in the 16th century, then some were rebuilt in the 20th century, but unfortunately more damage was done during the most recent earthquake in 2006. 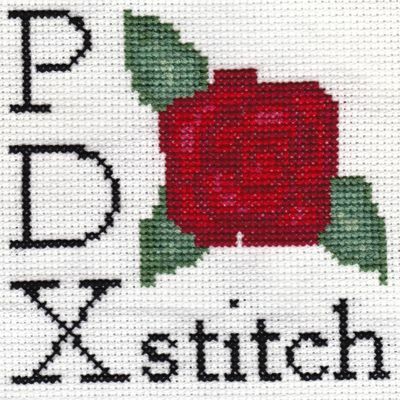 There’s one more card from shinta coming this afternoon. It’s special enough to deserve a post of its own though! The past few days have brought three new UNESCO Cultural Heritage sites into my hands, and a card from a new country, Indonesia! 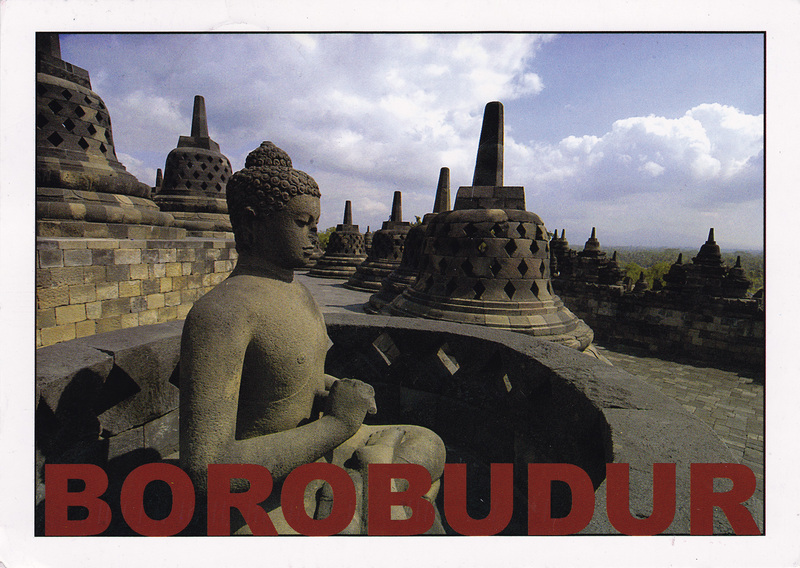 From shinta in Indonesia comes this card from the Borobudur Temple Complex in Java. The temple became a UNESCO site in 1991, but was built in the 8th and 9th centuries. I absolutely love Buddhist religious buildings. They are so peaceful and beautiful. And here’s another religious edifice from across the world in Croatia. The cathedral in Sibenik was built in the 15th and 16th century and is dedicated to St. James. 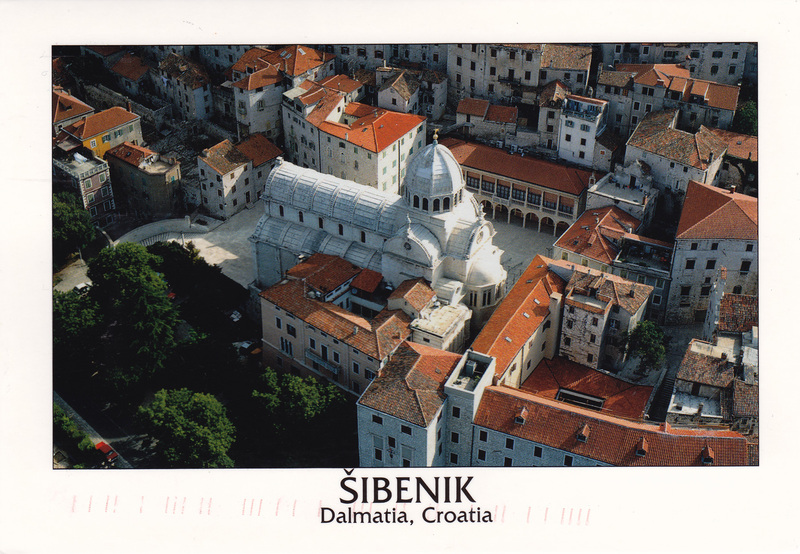 The card comes from ddonkey, who gets to see the cathedral often when she goes to Sibenik to do shopping. How lucky! 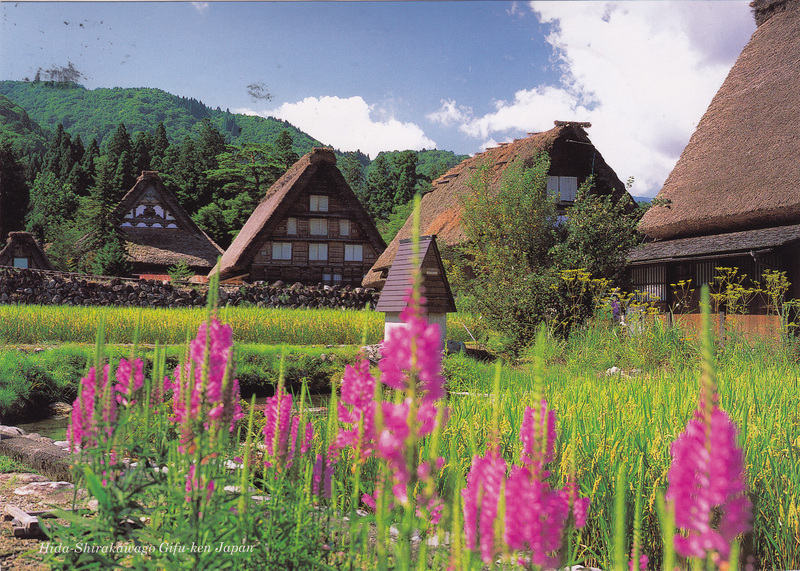 Finally there is this view of the historic village of Shirakawa-go in Japan. This village was inscribed as a World Heritage site in 1995. The houses here show the steep thatched roofs that are unique in Japan. Silk-worm raising was once a major industry here. 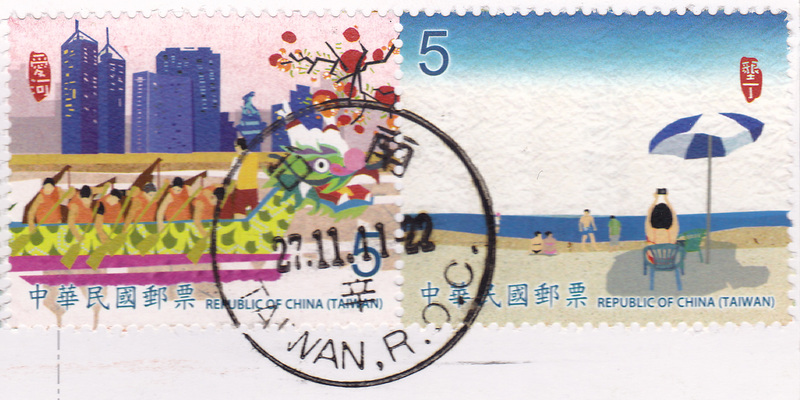 This card was sent in by shui from Taiwan, who laments that Taiwan has no UNESCO sites of its own, and expresses hope to visit this site in nearby Japan. I hope to visit, too! It looks lovely.